Whistler weddings allow couples to step out of that traditional wedding mold. On this particular day, I went skiing with the couple and captured some great moments. We were so fortunate to get a warm spring day. We explored the mountain together, stopping for some fun and some scenic shots. 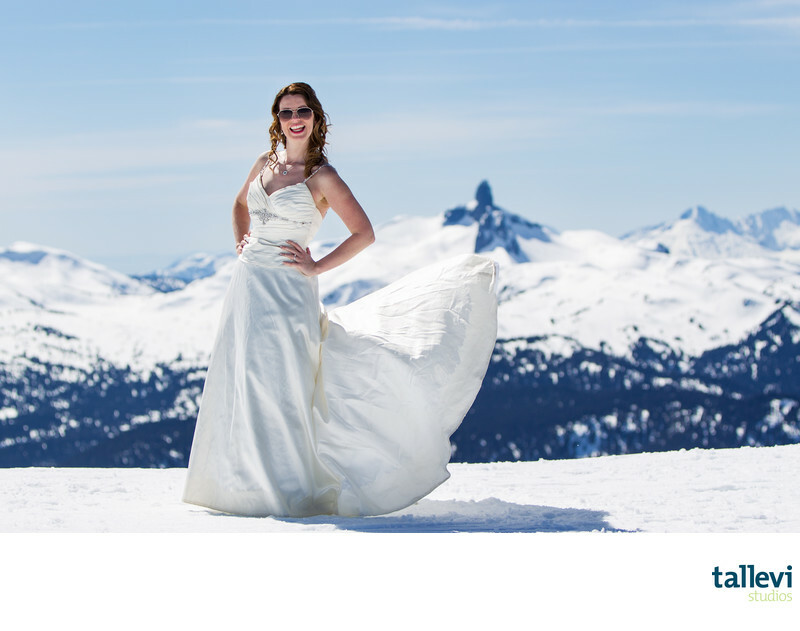 This couple wanted their Whistler wedding photos to be memorable...and they were! 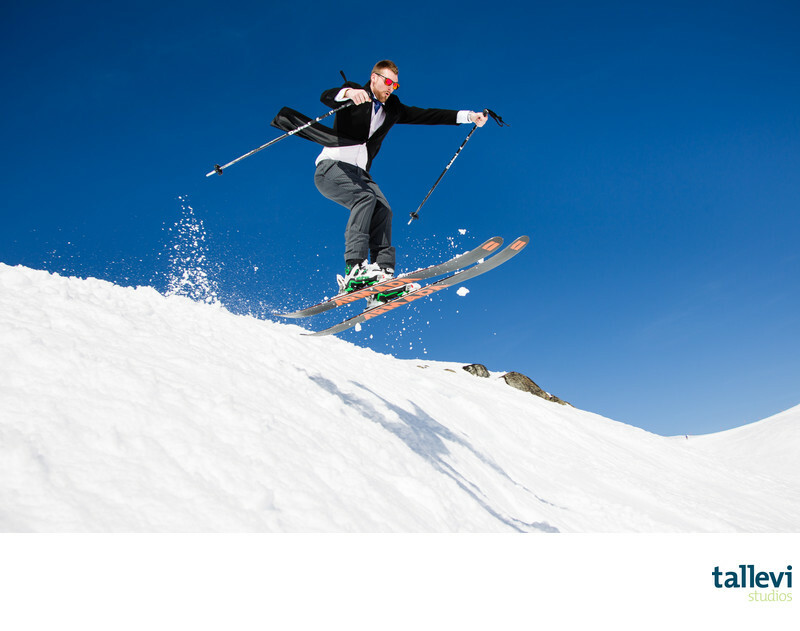 It's not every day that you can ski without a jacket. But when that beautifully warm spring weather comes, it's definitely worth taking advantage of. Wedding days can be busy. 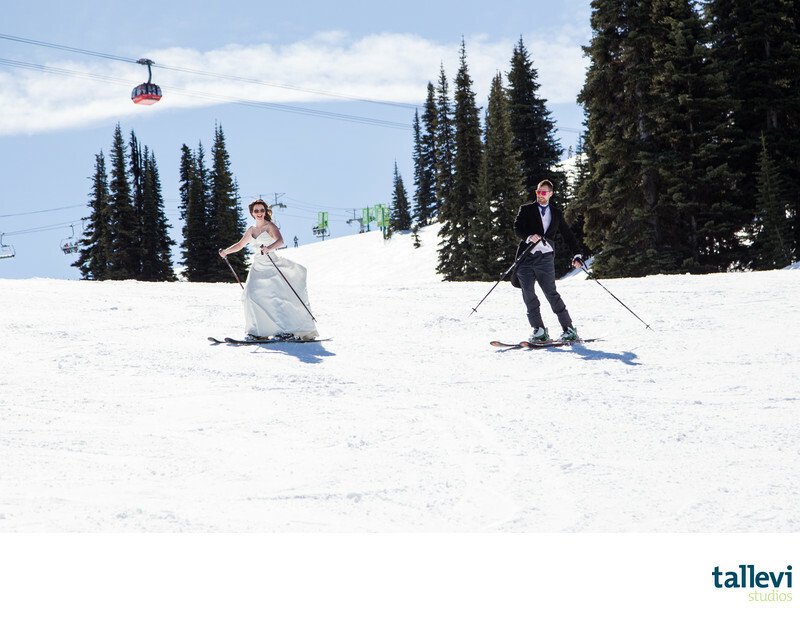 Unless you're eloping on Whistler or Blackcomb mountains, you probably won't have time to go skiing on your wedding day. This is a great option for the next day or later during your stay in Whistler. Or, maybe you got married elsewhere. 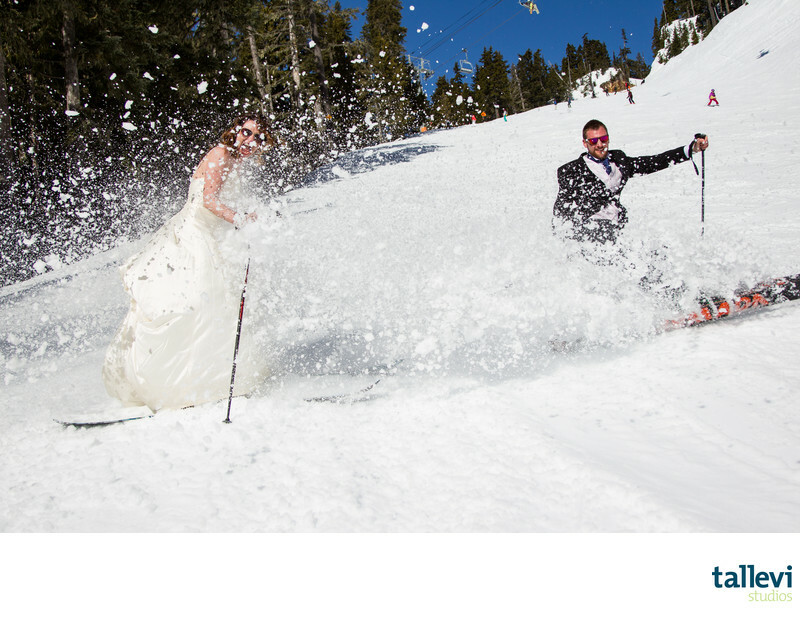 Why not bring your wedding attire with you on your ski trip and plan a day on the hill having your photo taken. The view from the top of the Peak Chair of Black Tusk is iconic. Add a bride in there and you've got a winning combination. I don't recommend doing this if you plan on staying married...just saying! This bride wasn't surprised when her groom covered her (and me!) in snow. Location: 4545 Blackcomb Way, Whistler, BC V0N 1B4. Keywords: wedding (1602), Whistler (942).